Amsterdam residents Detroit Swindle aka Lars Dales and Maarten Smeets are without a doubt one of the hottest DJ & Production duos around. Both joined forces in 2010 and dropped their 1st release in 2011 entitled The Wrap Around EP. Since then, their DJ & Production career has blown up with releases on labels like Dirt Crew, Freerange, Tsuba, Jalapeno & Wolf Music – along with playing out weekly at some of the most respected clubs around the world. The Warm-Up is a great daytime into night rooftop party. From the anticipation before the show, we knew it was going be cool, but when we got there, we where just blown away by the excitement of everyone to hear us play. I remember we played this track after a few heavier tracks and people just started grooving that tiny bit more. People clearly recognised the vocal from the album original, and this was the first time we tested the remix. Went don’t like a treat. Played this party before Seth Troxler, so we really had the chance to go nice a deep. We always like to pack a lot of energy, and this combo worked great. Trummor is an almost techno-ish African percussion track and it gives that nice extra bit of energy when you bluntly throw in a killer like ‘One note Jam’. The Dekmantel guys organise some of the best festivals in Holland. When you play there, you know it’s gonna be one of those shows where you can easily move between disco, house and techno and people will love it. We played this disco track in between an old Ron Trent record and a rough new Losoul on Hypercolour and it really set the mood for the rest of our set. Played at: Jaeger – Oslo, Norway. We were really looking forward to playing Jaeger in Oslo. One, because it was our first show there after a bit of a false start on a date earlier this year and because they program a lot of acts like Motor City Drum Ensemble, Pepe Bradock, Hunee, guys like that. They’ve also got a sick mixer from Alpha Recordings, that makes it extra special to play there. We played a lot of disco and lo-fi deep house and had a nice little part of some more percussion oriented tracks as well. Qunu is the new Brian Harden track and features some lovely african drums and a really infectious beat. There was some serious rump-shaking going on when we played this..
We played this event with Laszlo Dancehall and Medlar and we closed the night. This was the finishing tune after a night with a lot of rough house and was the perfect tune to ooze the night away, sweep the people off the dance floor and get to the afterparty (or in our case, the well deserved hotel bed). 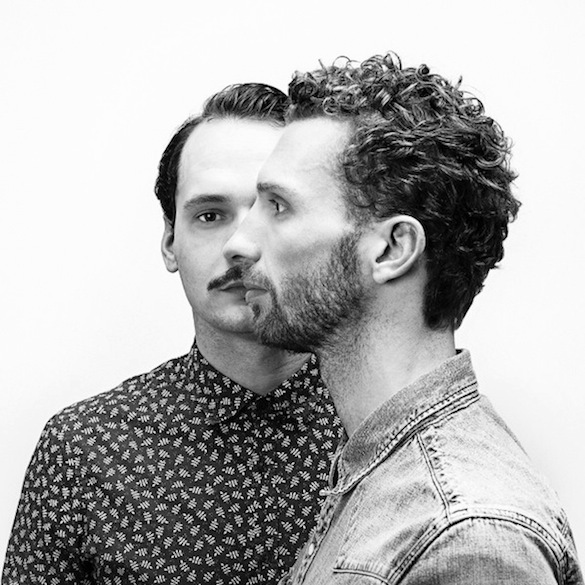 Detroit Swindle’s latest release ’64 Ways ft. Mayer Hawthorne (The Remixes) out on Traxsource.